Superdry men's Air Corps padded liner jacket. A must have update for your outwear collection, this lightweight jacket features a single layer zip fastening, two popper fastened front pockets and elasticated cuffs. 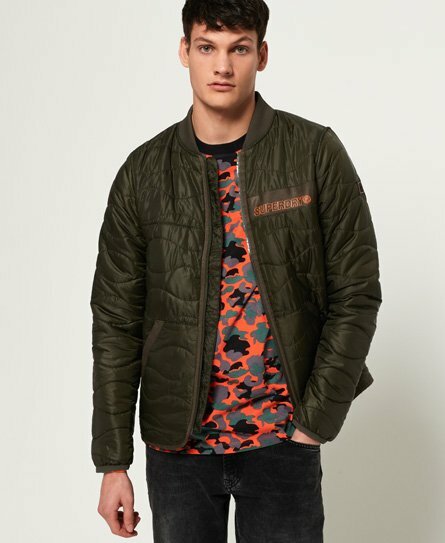 This jacket is completed with a Superdry logo graphic on the chest and rubber logo badge on one sleeve.